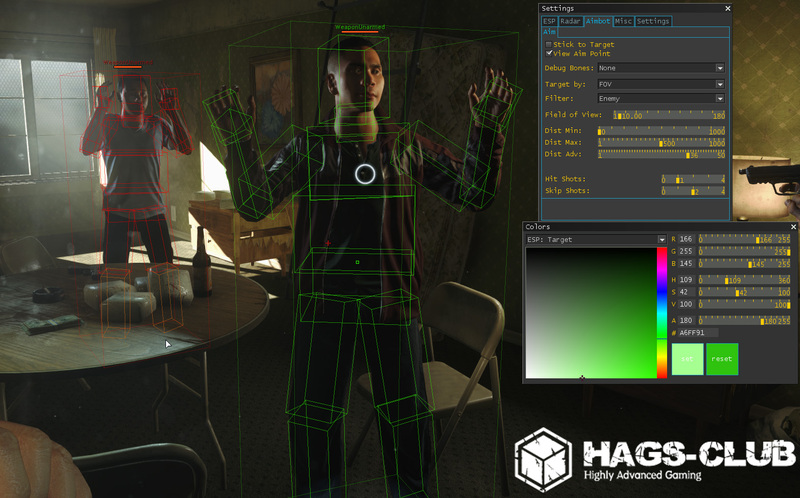 Hag contains all the best features we had in our hacks for previous Battlefield games, such as Bf 4, Bf Hardline, Battlefield 3 and BFBC. Hag for Battlefield series was never detected. This means, that in the past 10 years people were using these hack without being scared to get banned by PunkBuster. We don't think that any detections will happen in Bf1, we checked the current security measures and can say, that we are ready. when it is near your crosshair and in the hit range according to configured hit ration. You can setup how many bullets you want to land on the enemy and how many should miss. 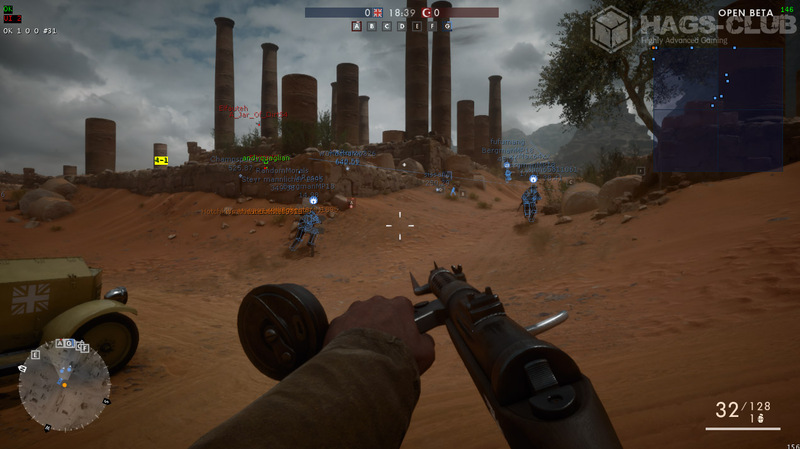 Battlefield 1 has the new bones hit randomization system, so you will never be spotted for doing only headshots. When your purchase our hack you can be sure, that all will work as shown in the video and described in this text. All features are customisable and flexible, so you can configure everything for your personal needs. Change color, change opacity, you can even change Fonts. First of all, in our hacks, we aim for a comfortable and legit gameplay. Using our battlefield 4 hack you can be sure, that you will have fun in this game. If you don't want to configure anything then you should just stay at the default settings. Our BF1 aimbot will do the job and wallhack will show all hidden stuff around you. As all the other hags for battlefield games, BF1 hack will have the Silent aimbot. Why is the aimbot silent you will ask? That's because it does not move your camera in-game. you don't hit anybody much away from your crosshair. Worst what they can think about you is that you are a very lucky with bullets spread. Battlefield 1 aimbot is your best friend if you are not an aiming god, but you still want to have some fun! This type of hacks is also known as ESP (extraordinary perception), the whole point of it is that you can see things better than a basic player. Wallhack can show you people behind the walls, it can display additional info about your victims and friends. Now you will always know who you are about to face, people with a sniper rifle or a pistol. 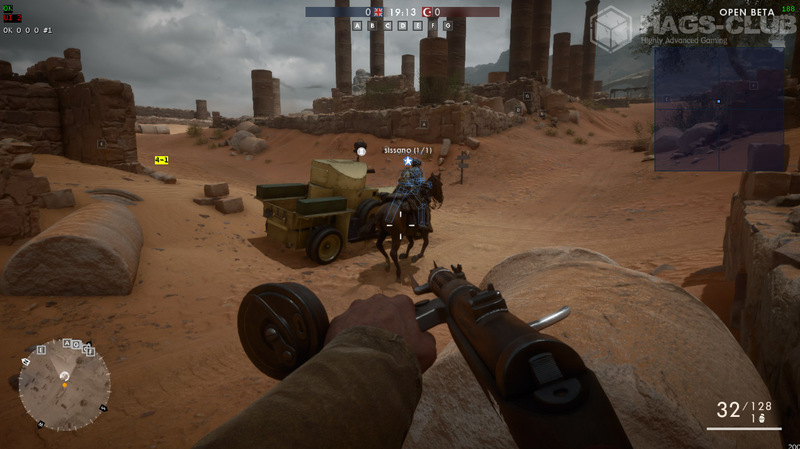 Using our battlefield 1 hack you will never get caught from behind, our wallhack will warn you about it. Bf1 wallhack is 1 of our the most powerful tools, but do not use it very obviously. Following people with a crosshair behind the walls is a bad idea. Check bf1 forums to read the guide about legit ESP usage, it should help you to stay safe and use it as good as possible. 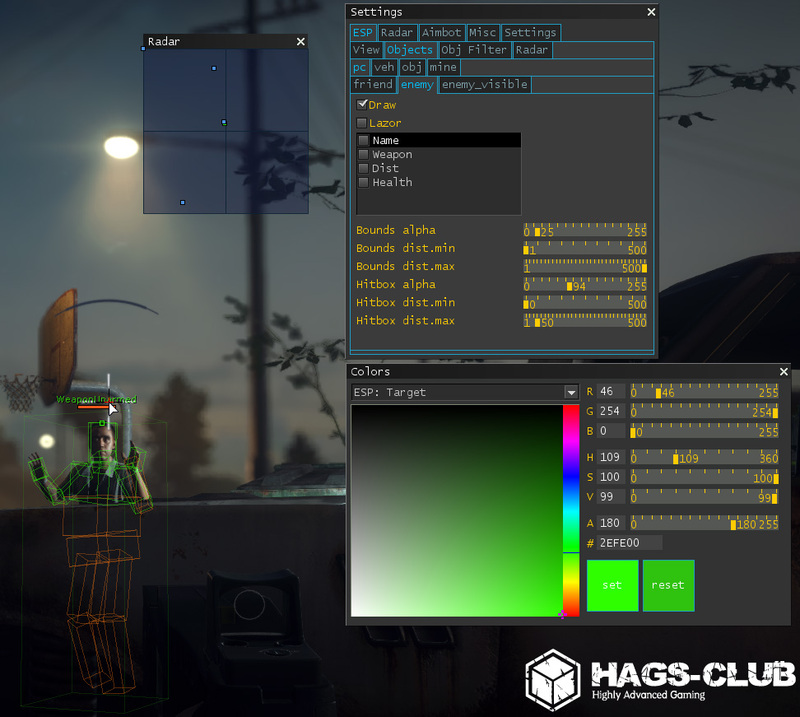 Hag engine allows you to customize your hack very precisely, you can change almost everything in it, check the screenshot and you will see this great menu. Don't forget that HAG also supports configs so you can create your own settings profiles. For example, sometimes you want to play in rage style and you want battlefield 1 hack to kill everything around, you set such settings. But on the main character you want to play legit, there is a solution for it and you won't need to change settings every time. Just save both config profiles and swap between them without leaving the game with one click! Look at my horse, my horse is amazing..